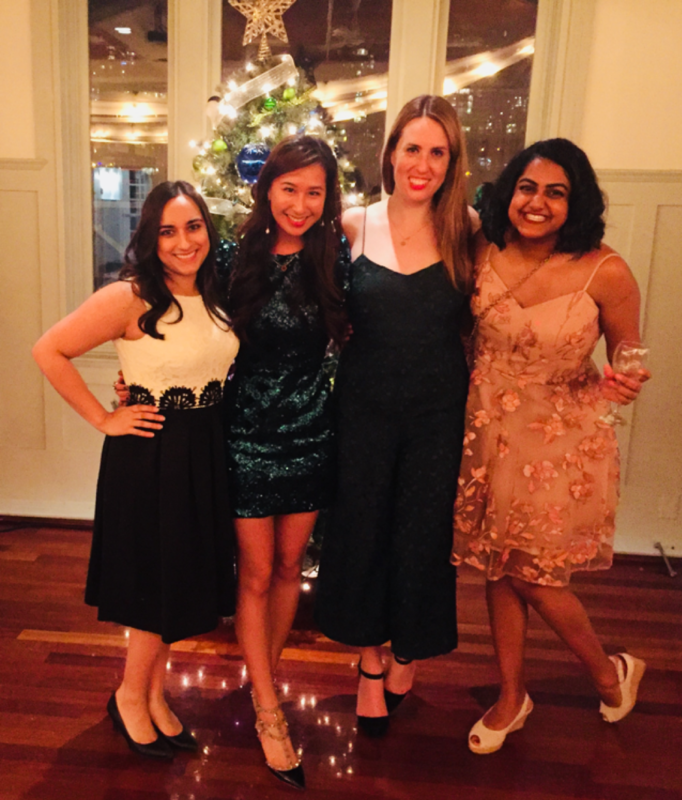 A few months before my MBA journey at SFU began, I heard about the Graduate Women’s Council (GWC) and felt a jolt of energy course through me as I read about their vision to empower women in the business world. Over the next few days, I thought long and hard about if I should get involved with the Women’s Council or if I should focus solely on academics and the job search. I realized that this would be an opportunity for me to make a difference and decided to run for a leadership role. Needless to say, getting involved with the Graduate Women’s Council was one of the best decisions I have made. As President of the Women’s Council, I work with a stellar team of strong, creative, brilliant women. 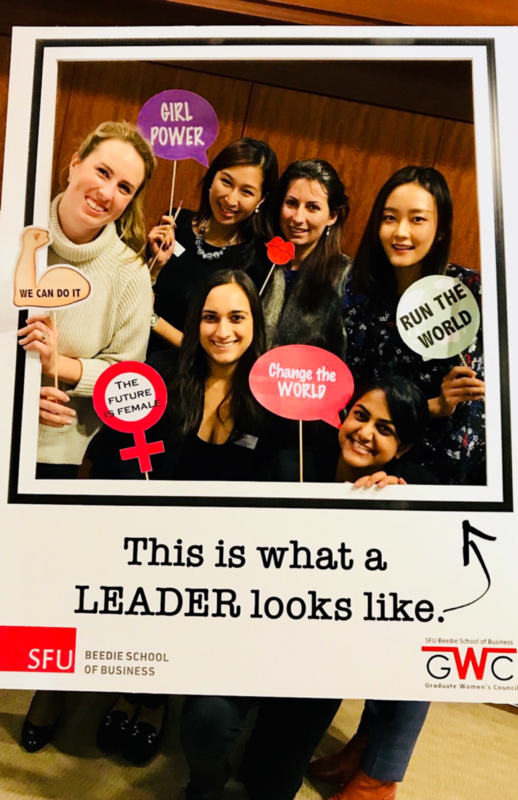 Together, we share our ideas and create opportunities for the graduate women and men at the Beedie School of Business. Together, we learn and work hard to continuously improve GWC. My interaction with these fiercely inspiring women is reason enough to be a part of this organization. The other unique aspect of being involved is the relationship with SFU staff members. Through this position, I can learn from the experts about event planning, student engagement and the logistics of running an organization. This organization has also provided me the opportunity to meet with executive women in Vancouver and share GWC’s vision. I love being able to build a network of supportive women and GWC makes that process effortless. It also helps me get involved with the external groups such as the Vancouver Board of Trade and Phase Nyne. Through my involvement with the Women’s Council, I was able to attend keynote speeches, networking events, regattas, galas and the WeforShe conference. The events introduced me to role models who in turn broadened my view of potential career paths. I am so grateful to have met CEO’s, best-selling authors and visionaries through this journey. When I think back to my apprehensive self, I realize how differently I thought about the MBA program. Yes, the program has classes, course work and projects, however, the MBA is about so much more. The MBA is about the people you meet, the experiences you learn from and the community you build. That is why I can say, with utmost certainty, that being involved is one of the best ways to thrive in the program. 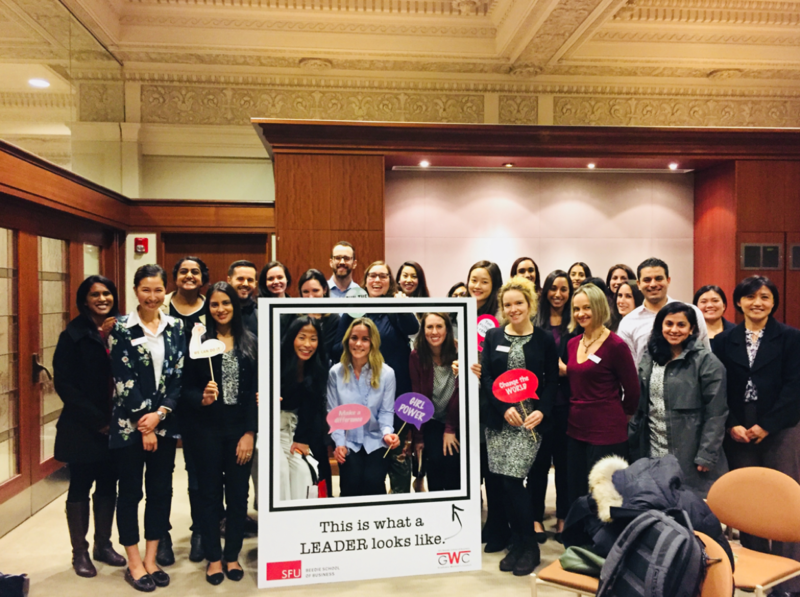 Be it the Graduate Women’s Council, Net Impact, Graduate Business Student Association, Ambassadors, Toastmasters, Case club or any other form of involvement; the participation will elevate your experience at SFU. So, when you have the chance, learn more about how you can get involved, take on leadership positions and make the most of your MBA experience. Rima can describe herself in three words: passionate, strategic and goal-oriented. She has always sought to learn about people, their stories, their problems and provide the help they need to find solutions. Her journey thus far has been challenging and invigorating. She grew up in India and had the opportunity to move 8000 miles away at 18 and pursue a chemical engineering degree in Akron, Ohio. 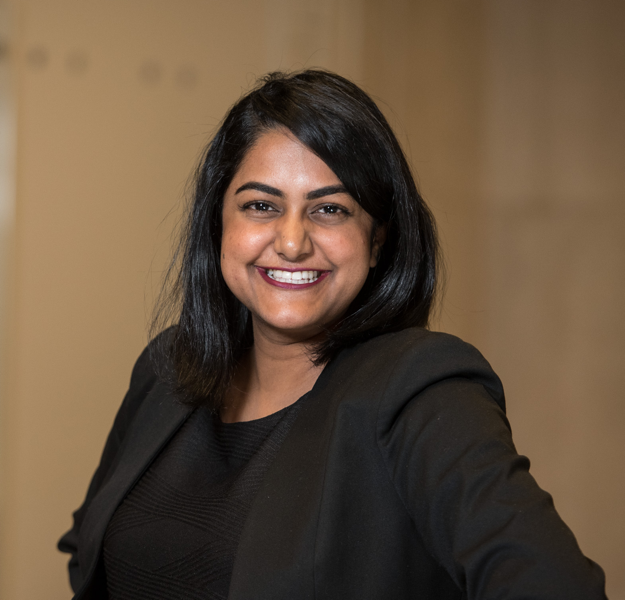 She is currently pursuing her MBA at SFU and is the President of the Graduate Women’s Council. She is passionate about community development, cultural diversity, current affairs, international travel, and continuous learning.